The Snowman is a staple of most youngsters’ bookshelves and has captured the imagination of people across the world. The book was first published in 1978 and is celebrating its 40th anniversary this year. 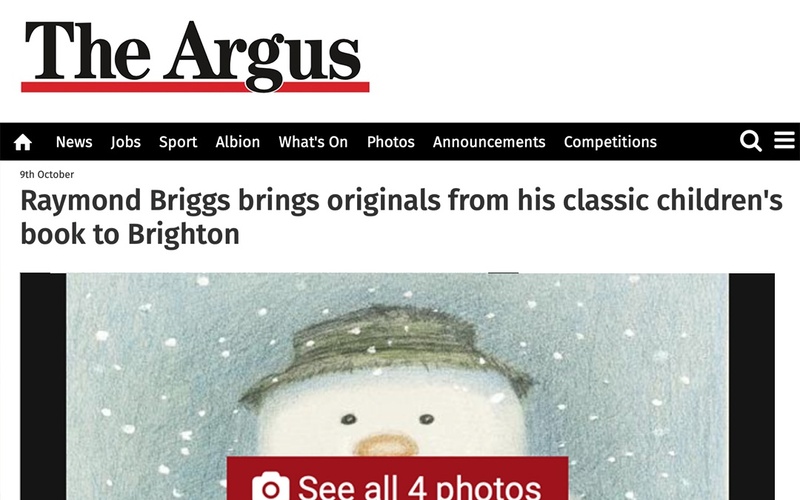 Now its Sussex-based author Raymond Briggs, along with book publisher Penguin Random House, are to exhibit some of his original artwork at Brighton Museum. The images will be on show from October 20 until January 6 next year. Raymond, who lives in Westmeston, near Ditchling, created the classic tale from his home and studio in the Sussex Downs. The house that appears in The Snowman is based on his own home and the view from the boy’s window was inspired by the view from his studio. The Royal Pavilion and the Palace Pier also make an appearance. In 1982 The Snowman was adapted for screen and has been shown on Channel 4 at Christmas every year since, becoming an intrinsic part of family festive traditions. Raymond spent 25 years teaching illustration at the Brighton School of Art between 1961 and 1986, seeing it transform into Brighton Polytechnic, now Brighton University. The exhibition will also inspire a new collage artwork of The Snowman using festive images submitted by the public, which will be unveiled in December at the museum. Izzy Richardson, from Penguin Ventures (part of Penguin Random House), said: “We’re truly excited about seeing Raymond’s original artwork exhibited in such an iconic location which also features in The Snowman. The Snowman 40th anniversary exhibition will run at Brighton Museum from October 20 until January 6.